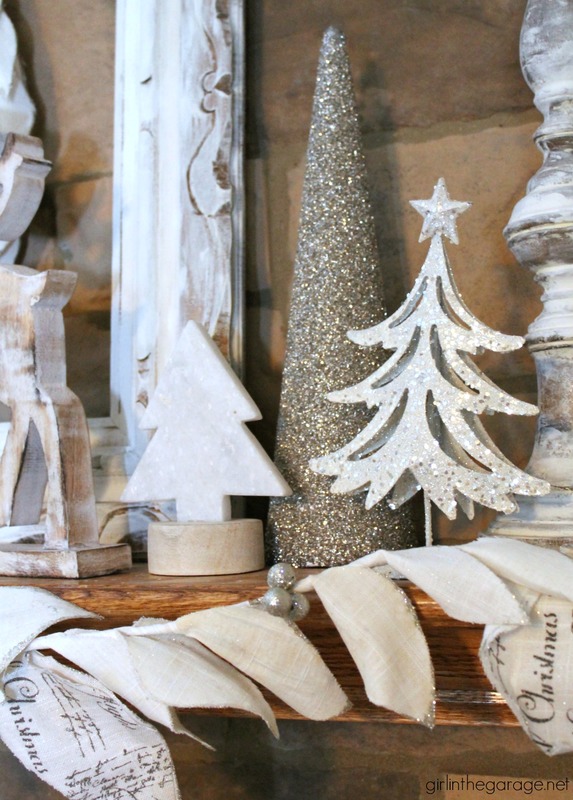 How early/late do you decorate for Christmas? 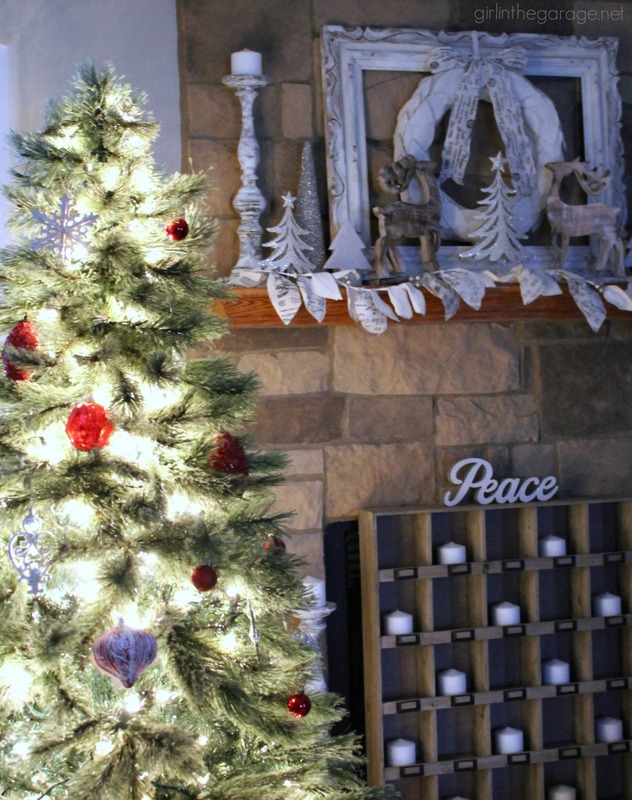 Apparently I’m not the only blogger who’s a bit behind on their Christmas decorating, so some of my friends are here also (at the end of this post) sharing their finally-decorated spaces – better late than never! 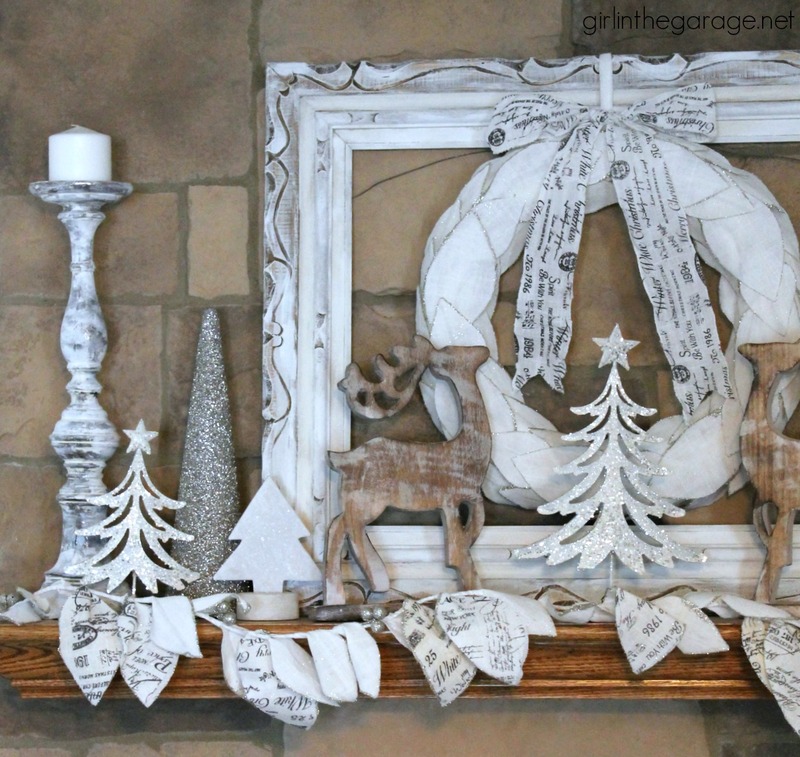 I kept my Christmas mantel decor white again, but I changed a few things from last year. I love how it works for Christmas and all throughout winter. Win-win! Sparkly things are my favorite. I’m also working on a holiday centerpiece for our Christmas Eve family dinner (on our new dining set – woot) but I’m not sure how soon it will be ready for pics.. I’ll try to get some for you guys though! Merry Christmas and happy decorating, friends! YOU MUST MAKE THE STAR! YOU AS SOO CREATIVE….. Your mantel is stunning and perfect. Exactly what I would like if I knew how to co-ordinate items. Thank you for sharing. Thank you Barb. 🙂 But I kind of cheated… when you use all the same color, it’s much easier to decorate with! 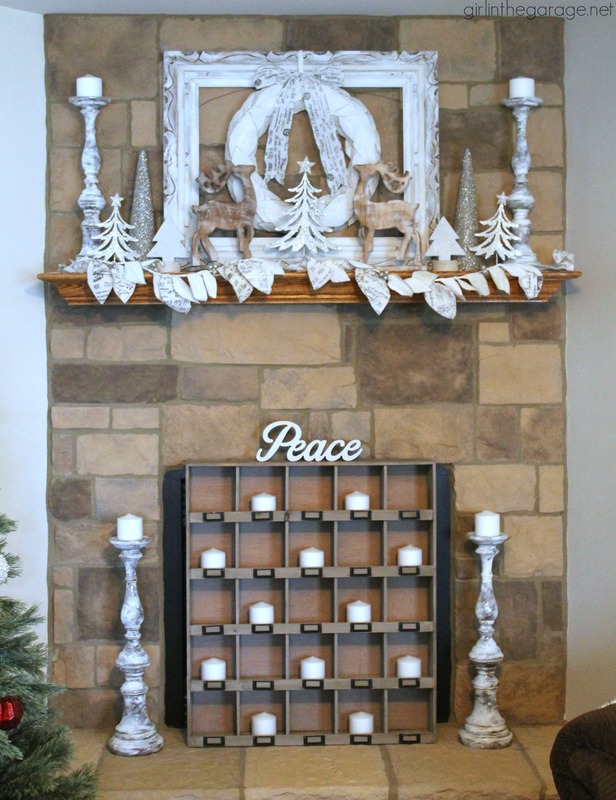 Your mantel is so pretty and I also really like the box full of candles that you placed in front of your fireplace with the candlesticks on either side. It’s perfect! Beautiful mantel Jen. I love how the same decor can carry you throughout most of the year! Merry Christmas!